This photo-realistic 3D crane model of an industrial deck crane has been made in 3ds Max 9 and is fully compatible with V-Ray 1.5 and up. Download info will be emailed within 24 hours. 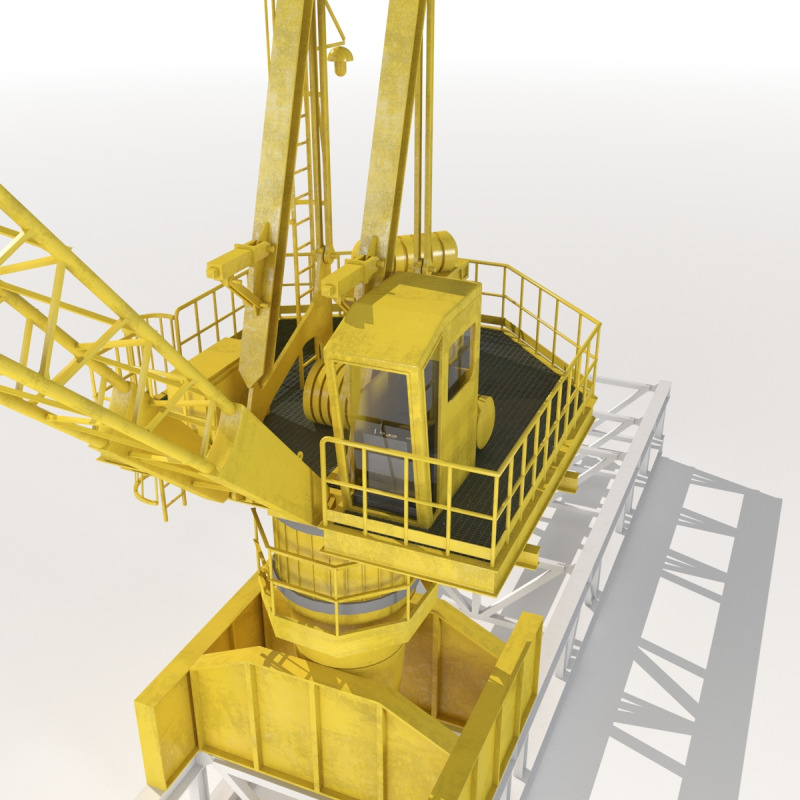 Included with this 3D crane model is a Scanline version for any renderers without V-Ray. Also included are Filmbox, .3ds, and .obj file types. The 3ds Max version has been rigged for animation to allow for a range of motion in the cranes base, arm, and hook.